A checklist is a piece of paper or memo where certain tasks about important things are written to make sure that they are not forgotten. 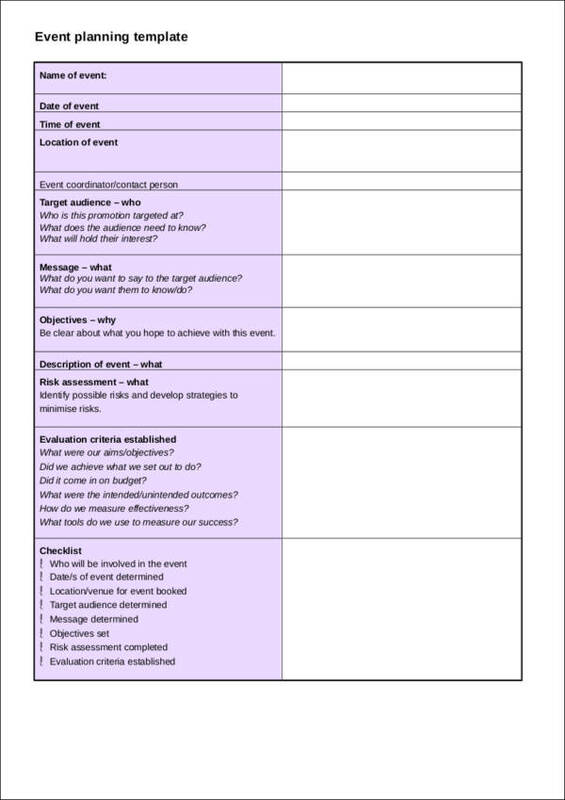 We often think of checklists as a sheet with boxes at the side of each task or items. These boxes are placed on the left side of each item or task and they get marked or checked once the task is done. Checklists have become very useful and a lot of new uses keep on springing up as our lifestyle and demands change. 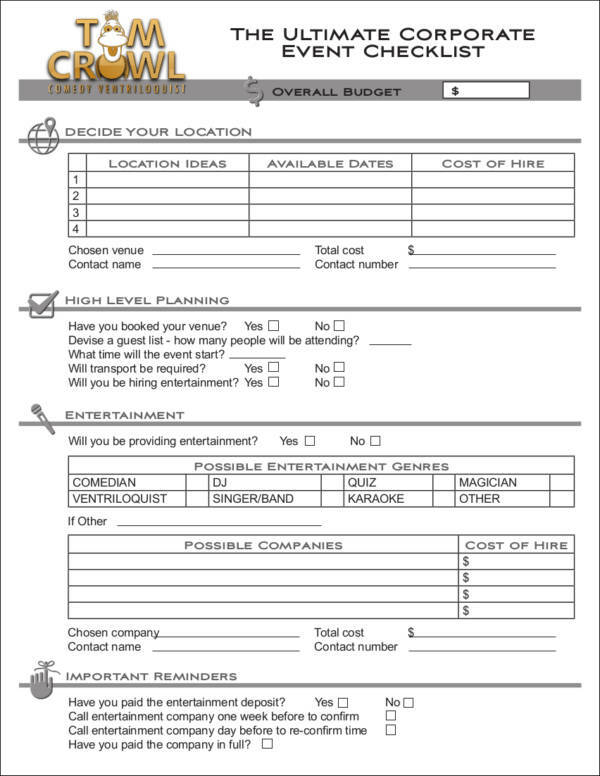 We have come to use checklists such as shopping lists, food lists, movie lists, travel checklists, and many more. 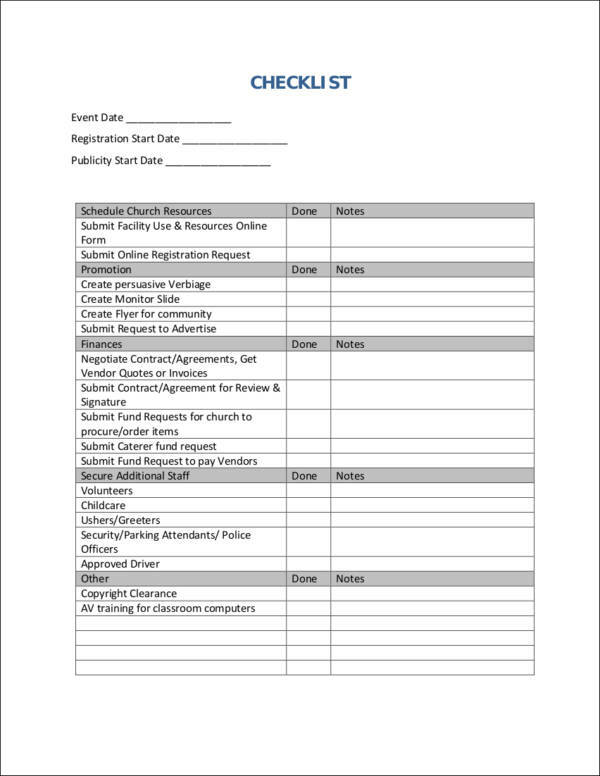 In this article, we have prepared checklist samples that are available for online download. These samples will definitely help you with your checklist needs. We have also made it easy for you to view and download these samples as they are available in PDF. In addition, you won’t have to spend a penny as they are all for free. So what are you waiting for? Download now! Why Do People Use Checklists? We know that a checklist has a lot of uses, but we don’t really understand why. 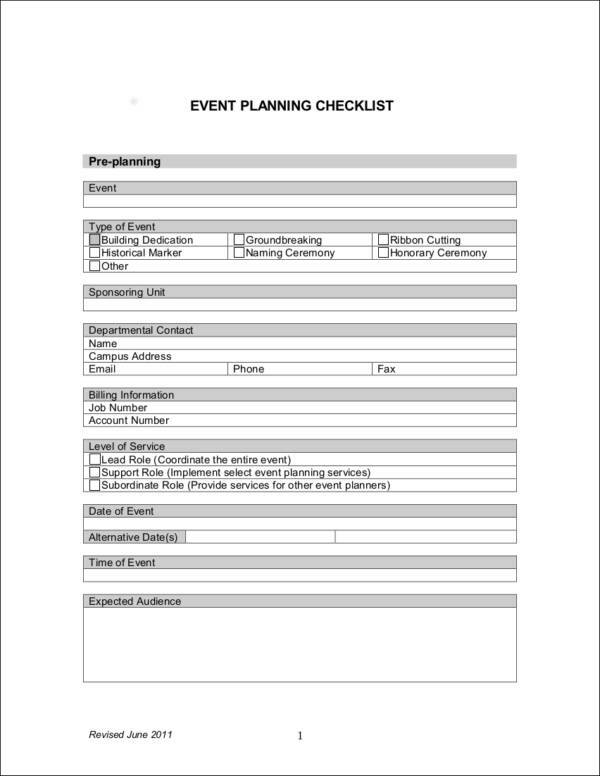 There are different and various types of checklists that exist to this time. They are used based on what the individual needs it for. So we have enumerated some of the many reasons why people use a checklist. 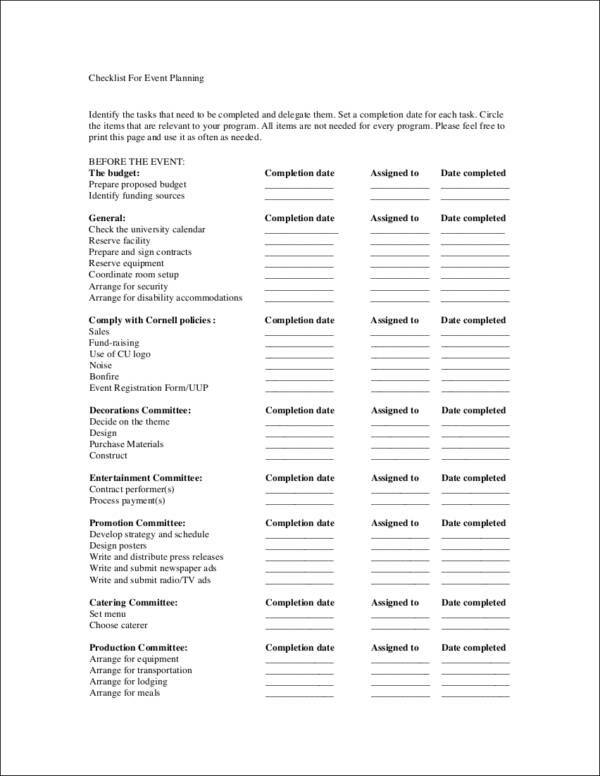 People use a checklist so that they can become organized with their tasks and other things that they need to do. Writing down the things that need to be done in a checklist ensures that they get them done on time. Not only does a checklist makes one organized, it also keeps them organized. Once you have started being an organized person, it will eventually become your habit and that is one good thing. People in the medical field make use of checklists to remind them of standard operating procedures that they need to do in the hospital, especially if they are performing surgical operations. A grocery checklist or shopping list makes sure that the necessary things are bought when going out to shop for groceries or for other supplies and clothes. A safety checklist is followed to ensure the safety of a lot of people in a specific work industry or a specific place. 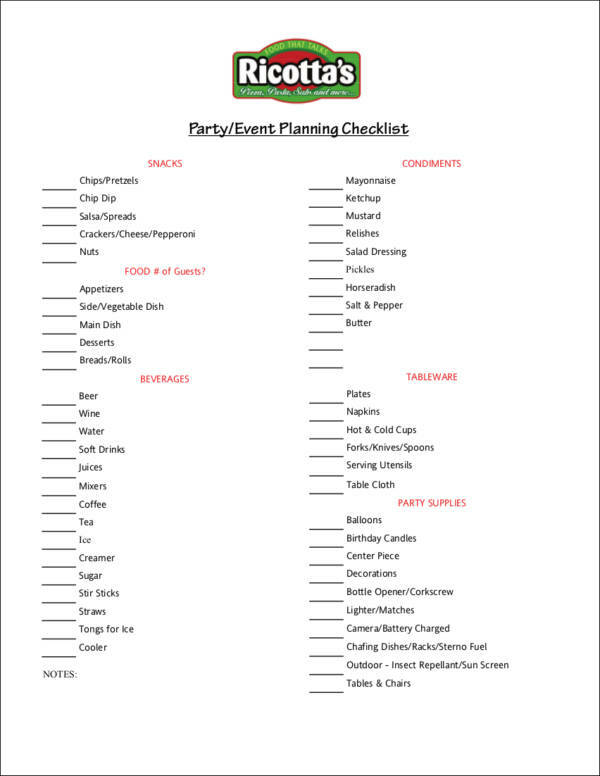 When making an emergency survival kit, people make use of checklists so that they can have all the things that they need in case of any emergency. A quality assurance checklist is used by quality analysts when evaluating the performance of employees or evaluating the products and services being provided. A checklist can be boring or exciting depending on how you make it. 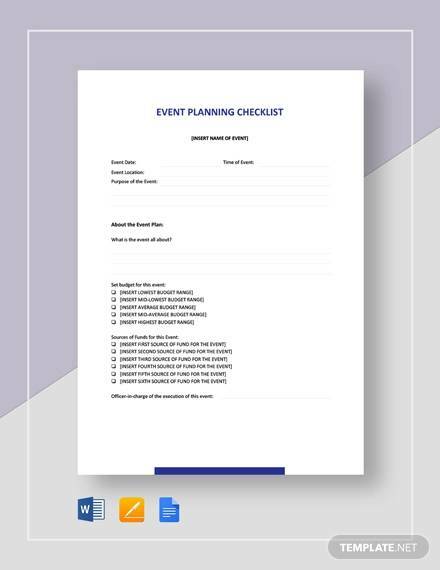 With the availability of checklist samples and checklist templates online, you will surely be able make a useful and effective checklist you never thought you are capable of. 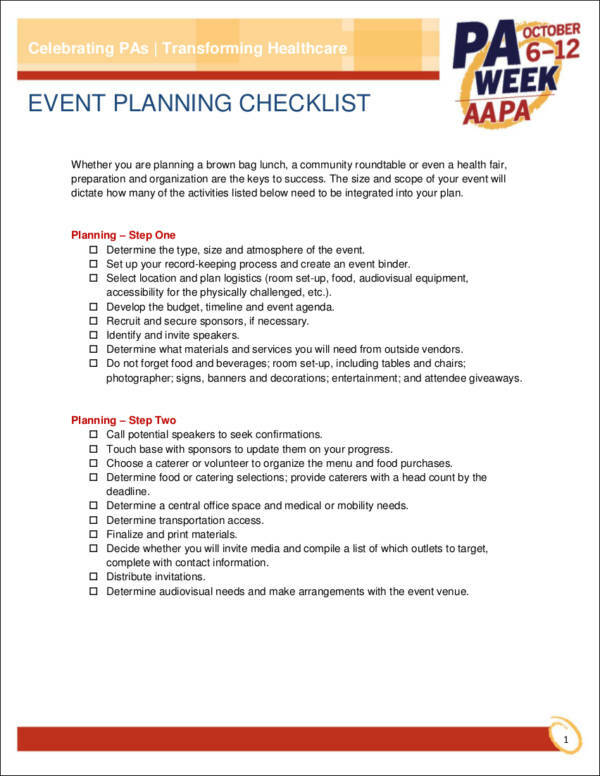 Here are some ideas for your event planning checklist. Create a checklist that is appropriate for the type of tasks that you will be writing. 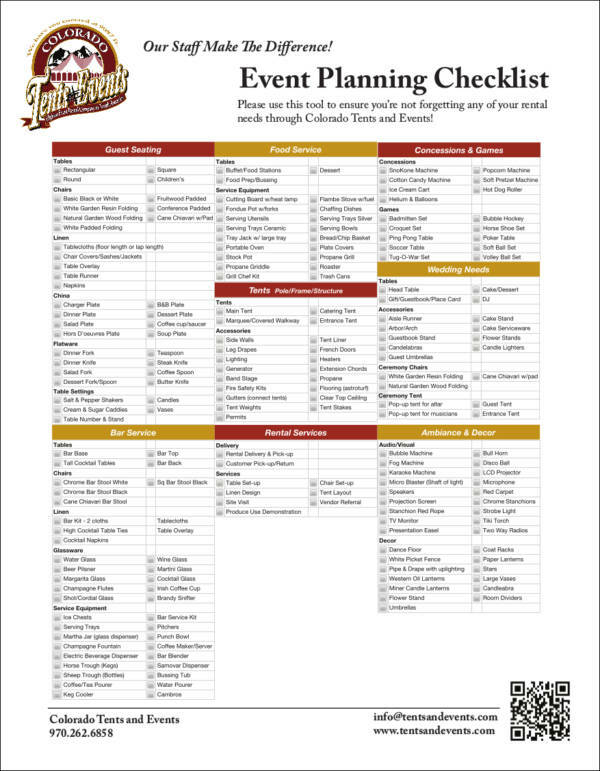 A wedding planning checklist would be useful when doing preparations for a wedding. We all know that using it for something different wouldn’t make any sense. Add colorful designs or stickers to your checklist. It does not only make you interested in opening that list of tasks, but it also allows you to showcase your creativity. 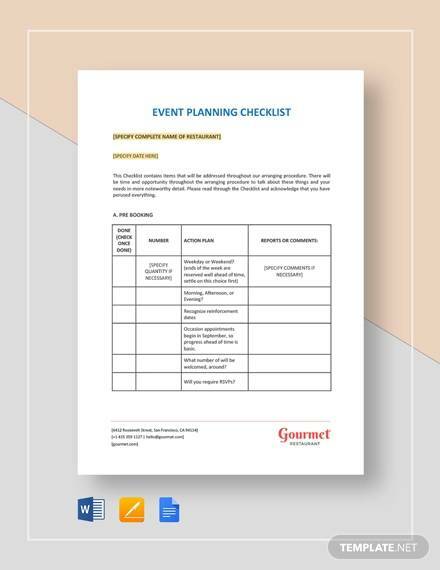 Make use of sample event planning checklists as your reference. 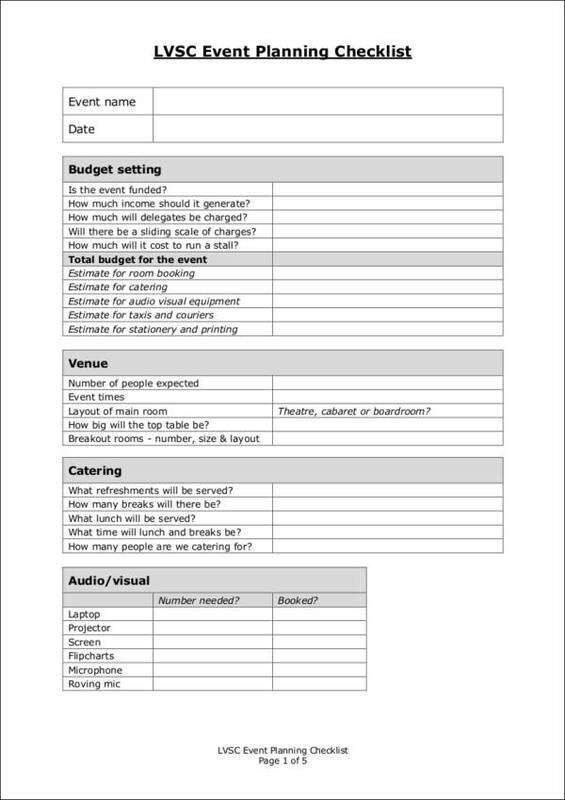 You can download printable checklist samples and get ideas from them. Get ideas online and incorporate those ideas into your own work. You will be amazed by the wonderful things that you will be able to create by combining those ideas. 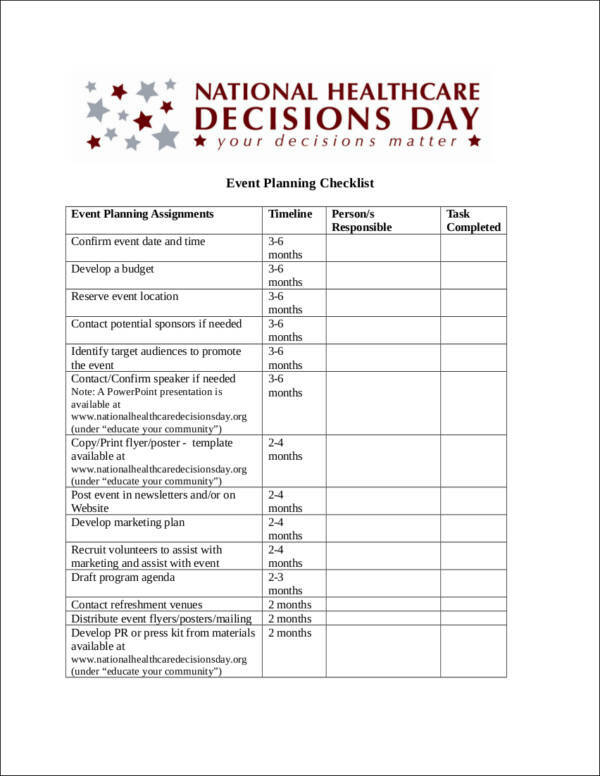 Get advice from professionals or do your research about effective event planning. 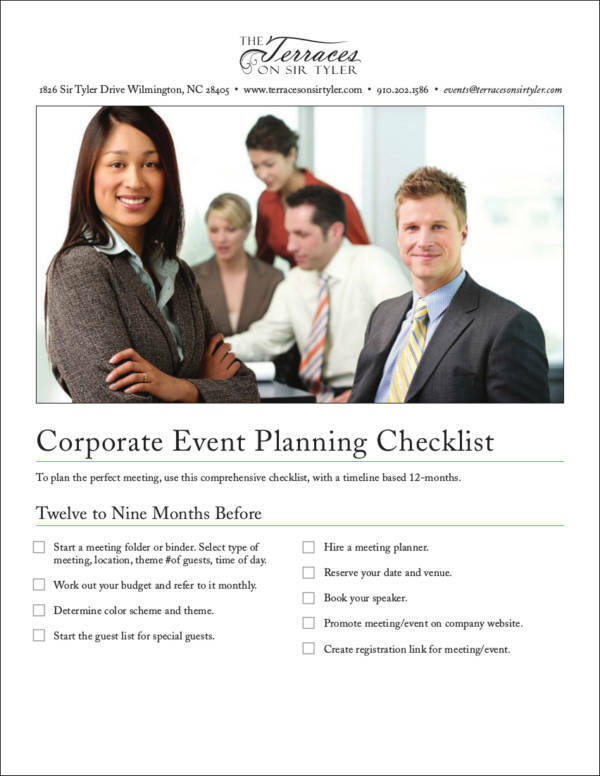 Use a theme for your checklist. This will make your checklist look fun and it also encourages you to open that sheet full of tasks. If you open it, you are sure to be able to have the tasks done and updated. 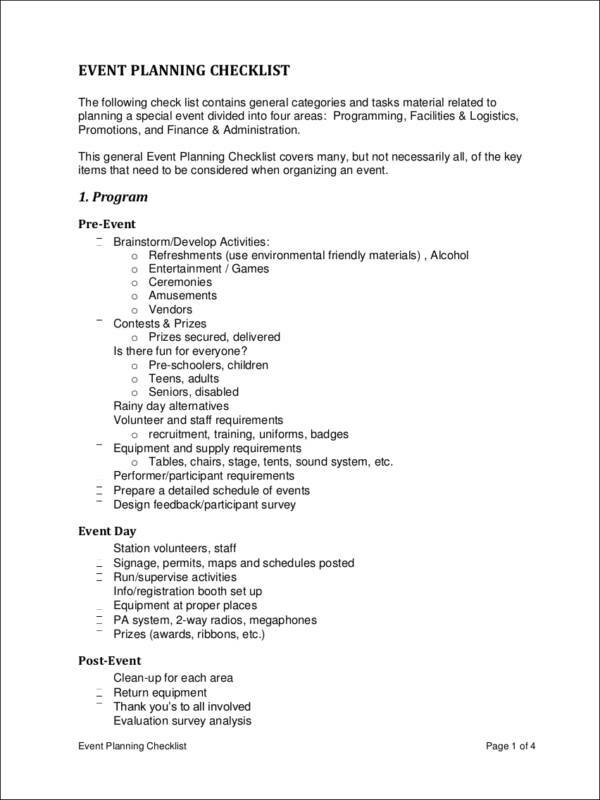 Use different checklists for specific tasks. Don’t mix them up because it will only confuse you and you will end up not being able to finish the tasks that you intend to do. Compile your checklists and make it into a notebook. Personalize and customize it however you want.